Rubber Duc joined Martin Bester for a special Ed Sheeran-inspired performance at The Blyde Riverwalk Estate. Rubber Duc / Jacaranda FM. 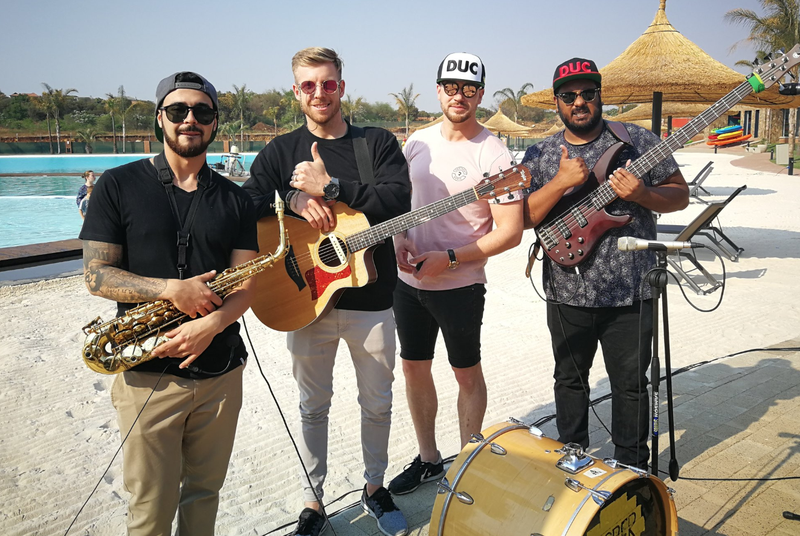 The band joined Breakfast with Martin Bester to perform a mash-up of Sheeran's hits live at The Blyde Riverwalk Estate in Pretoria East - where Martin gave away an apartment to the value of R1.2-million. The band is currently on a mission to be the official opening act for Ed Sheeran when he comes to South Africa next year. Do you think Rubber Duc would make a great opening act for Ed Sheeran? Comment below.